The French are taking over! 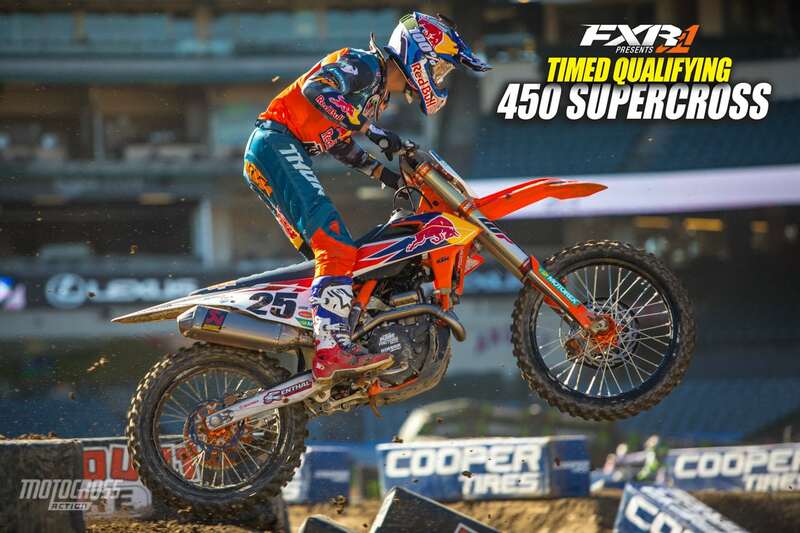 Marvin Musquin qualified fastest in the 450 class and Dylan Ferrandis topped the 250 class. 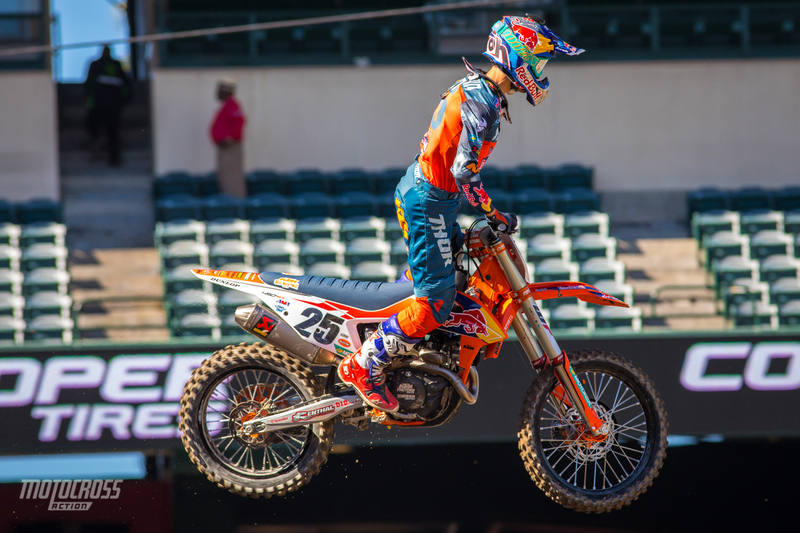 Marvin Musquin is finding his groove now at round three of the 2019 Monster Energy Supercross series. 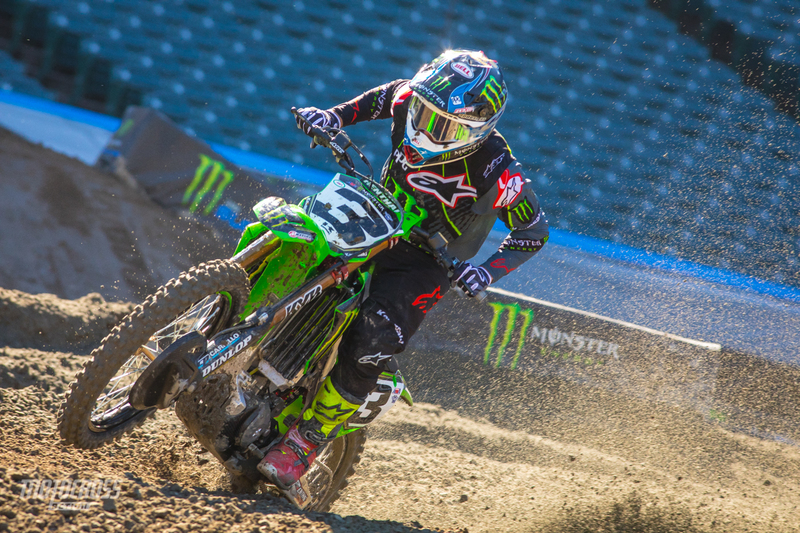 He improved his time in the second session to a 57.660 and Eli Tomac was right behind him with a 57.794. Ken Roczen moved up to third and Justin Brayton qualified fourth. The track is technical now with ruts in the whoops and on the lips of a few of the jumps. There is also a deep (and rutted) sand corner in the middle of the track, it’s making us feel like we’re at an Outdoor national. Marvin Musquin is looking good. He topped qualifying with a 57.660. Eli Tomac qualified second only one tenth of a second behind Marvin Musquin. 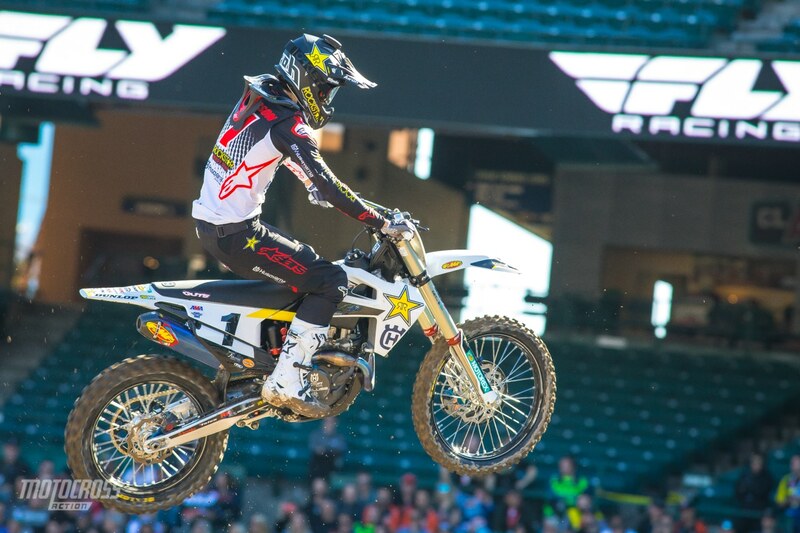 Ken Roczen improved his time in the second session to qualifying third. 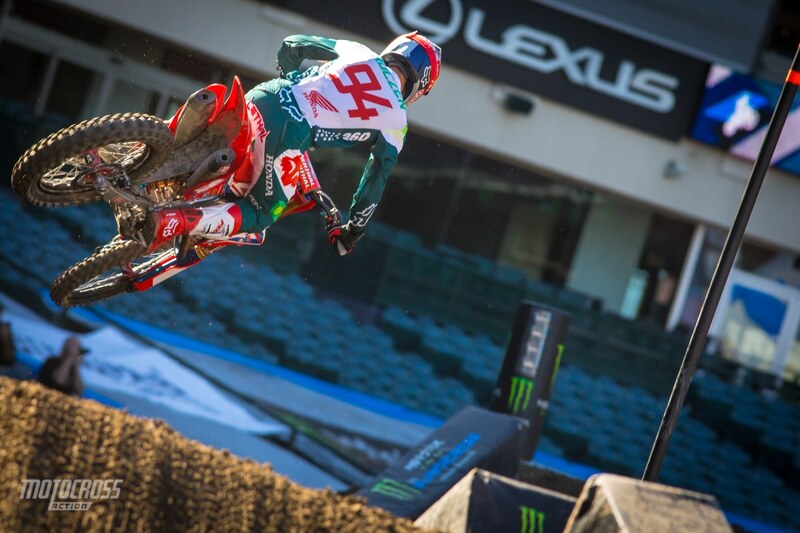 Eli Tomac is feeling good today at Anaheim 2. 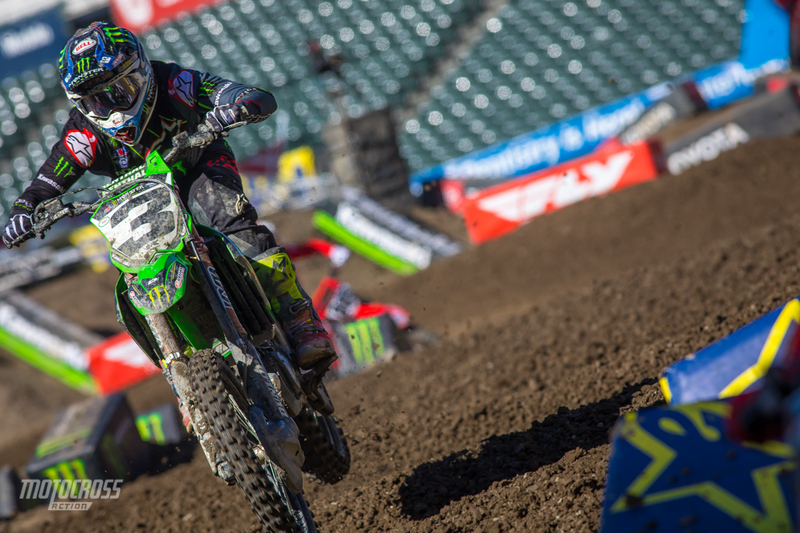 His 59.003 lap time was the fastest in the first 450 qualifying session. Jason Anderson was second in the first qualifying session with a 59.342. Marvin Musquin looks to be riding more like himself. 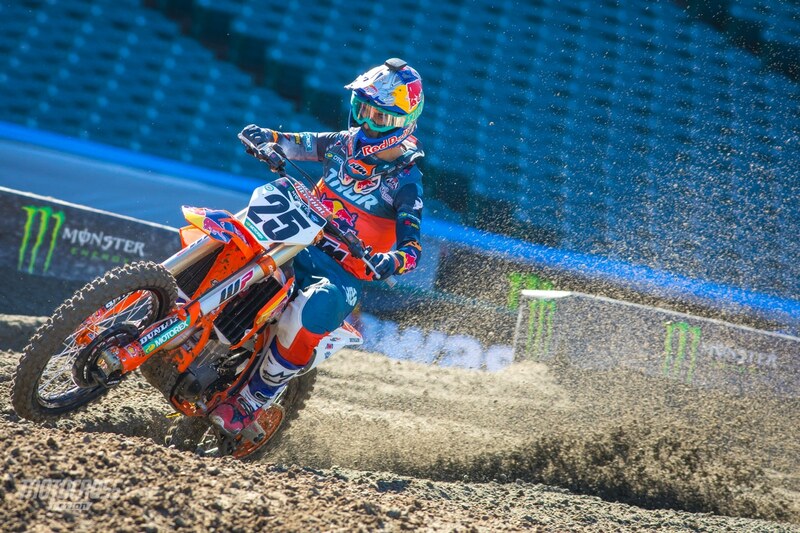 He was third in the first 450 qualifying session of the day. The top 18 from the overall fastest qualifying times during the day will advance straight to the main event. There will then be an LCQ that add four more riders for a total of 22 racers in the main event. During the night show, there won’t be any heat races or LCQ’s but each class will have three main events. The 250SX class will compete in three 10-minute main events, while the 450SX class will compete in three 12-minute main events. An Olympic-style scoring method will be used to determine an overall winner in each class from all three main events where the lowest combined score at the end will be awarded the overall win.